DON’T FORGET Star Trek: Discovery tonight! BELIEVE IN THE SINNER The new Presbyterian moderator backs the church’s gay marriage opposition. But, he added the Church “abhors” homophobia and is “open and welcome to anyone”. CINDY SNITCH Does Cindy McCain join the ranks of Picnic Patty and others: Cindy McCain was heard in a radio interview on KTAR Mac & Gaydos claiming she stopped a human trafficking incident at Phoenix Sky Harbor International Airport, but Arizona’s Family has debunked that claim. A KNIT KID A Wisconsin boy is hooked on crocheting and giving back. “After a very hard, busy, chaotic day in this busy world with school, it’s just nice to know that I can come home and crochet in my little corner of the house while sitting by the one I love most: my mom,” 11 year-old Jonah Larson tells NPR. Jonah regularly donates some of his goods and money to the Ethiopian orphanage from which he was adopted as an infant. WHO WAS THE GREATEST PERSON OF THE 20TH CENTURY? The BBC says that person was openly gay mathematician Alan Turing. Attitude remarked: “Alan Turing has been named ‘The Greatest Person of the 20th Century’ during BBC Two’s Icons series. The scientist and World War Two codebreaker won the public vote after being other finalists including Nelson Mandela, Ernest Shackleton, David Bowie, Dr Martin Luther King, Muhammad Ali and Pablo Picasso. During the final episode of the BBC Two series, Chris Packham delivered a speech about Turing’s tragic life and his legacy. Packham says: “All he got for all of his toil and all of our trouble was a poisoned apple. A genius, a saviour, but he was also autistic and gay, so we betrayed him and drove him to suicide. WALLS DESTROY Imminent border wall construction will destroy the most diverse butterfly center in U.S.
EcoWatch says: Construction equipment has arrived to build a border wall through the National Butterfly Center in Mission, Texas, a protected habitat for more than 200 species of wild butterflies and other unique wildlife. A planned 5.5 mile section of concrete and steel border wall that is already funded will cut off 70 percent of the 100-acre property. The barrier will be built on top of a levee of the Rio Grande that runs through the sanctuary. YOU BETTER ASK SOMEBODY This Black queer legal pioneer helped launch Ruth Bader Ginsburg onto the Supreme Court. Ruth Bader Ginsburg has emerged as just about everyone’s favorite badass on the Supreme Court. But the notorious RBG stands on the shoulders of civil rights and gender equality champion Pauli Murray. #TBT The cast of the Wonder Years reunite for this adorable photo! 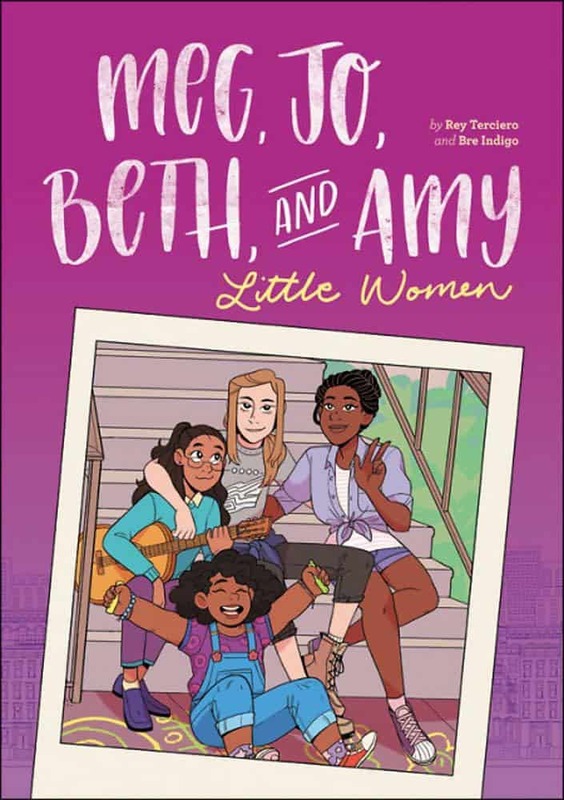 LITTLE WOMEN REBOOT The perennial classic novel Little Women gets a slightly queer revisit in out YA writer Rex Ogle’s Meg, Jo, Beth, and Amy: A Graphic Novel: A Modern Retelling of Little Women out now! TRANSGENDER REVEAL! This supermom praised her transgender son’s coming out with “It’s a boy” photo shoot. Kentucky mom Heather Green was so extra for her son’s 20th birthday photos this year. Your son only comes out as transgender once, after all. Green’s photo shoot – which was themed as a baby gender reveal with blue balloons, glitter, “It’s a boy” messaging and a faux pregnant tummy to show she was gaining another son – is the ultimate show of support reported USA Today via Facebook. SPOILER ALERT Marvel Studios has released the synopsis to Avengers: End Game. “After the devastating events of Avengers: Infinity War (2018), the universe is in ruins due to the efforts of the Mad Titan, Thanos. With the help of remaining allies, the Avengers must assemble once more in order to undo Thanos’ actions and restore order to the universe once and for all, no matter what consequences may be in store,” the synopsis reads. The movie opens in theaters on April 26. NOT SO VOGUE The cover of the new issue of Vogue featuring Justin Bieber and new wife Hailey Baldwin is getting shade from other mags saying it looks more like a tabloid. BIKING COAST TO COAST Will soon be a reality. “The Great American Rail-Trail has the potential to not just be a destination, but also a journey, and a journey through the heart of America,” said Brandi Horton, vice president of communications for the Rails-to-Trails Conservancy, a nonprofit based in Washington, D.C. Founded in 1986, the group’s mission is to work with trail-building groups and government agencies to convert former rail lines into a nationwide network of trails. When the group was formed, 250 miles of rail trails existed. Today, more than 23,000 miles of rail trails have been built” says REI. WALLED OFF The bridge between Colombia and Venezuela has been blocked to stop humanitarian aid. “On the Venezuelan side of an unused bridge to Colombia, freight containers have been positioned across the road and security forces have been put in place behind them. That border crossing has become the focal point of the effort by Juan Guaido, the lawmaker trying to oust Maduro with the backing of the U.S. and other countries, to get aid into the country to help starving Venezuelans and further undermine Maduro’s grip on power, says Bloomberg. “Joy … are you my auntie, Joy?” Raven-Symoné quipped. “I was so cute,” Behar responded. Behar, now 76, explained that the picture was snapped at a Halloween party where she dressed up as a “beautiful African woman” and stressed that the hair was actually haira.“Did you have tanning lotion on, Joy?” Raven-Symoné asked. Behar answered that she wore makeup “that was a little bit darker than my skin.” Oy.